Once a world-class ocean liner, the Queen Mary Hotel offers guests unique accommodations and a wide array of attractions that simply cannot be found anywhere else. With over so many meeting and exhibit space in 14 remarkable Art Deco salons, the Queen Mary provides an unrivaled authentic historical event experience. Whether it’s the authentic polished wood paneling, the original 1930s artwork, the Art Deco style or the operable portholes, there’s no question that the Queen Mary Hotel is unlike any other Southern California hotel. Each stateroom is unique with its own personality and offers a real glimpse into what transatlantic travel was like during the 30’s, 40’s and 50’s. With an impressive history and tradition of excellence, the Queen Mary Hotel is more than a place to rest one’s head – it’s an entire experience. 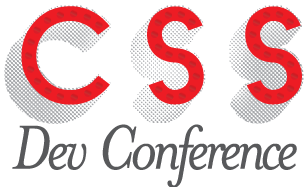 Reserve your hotel room now by calling 1-877-342-0742 and ask for the CSS Dev Conference group rate. Do so quickly as space is limited and rooms are expected to go fast!